Age 75, of Wheelersburg, went to be with the Lord on Friday, January 25, 2019 at Concord Nursing and Rehabilitation in Wheelersburg. He was born November 17, 1943 in Portsmouth to Frank and Opal (Percell) Williams and attended Wheelersburg High School. 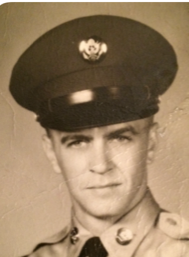 Charles served his country honorably as a member of the U.S. Army. He worked professionally as a boilermaker and was a member of Boilermakers Local 105. In his spare time, he enjoyed working on cars. Charles is survived by his wife, Barbara (Jenkins) Williams; daughters, Ronda Evans of Highpoint, NC, Tina (Scot) Sargent of Conway, SC, Vickie (Philip) Hammond of Hilliard, Lisa Sheets of Wheelersburg; brother, Ernie (Agnes) Williams of Canton, MI; sisters, Wilma Kennard of West Portsmouth, Wanda (Jerry) Patterson of South Webster, Judy (Paul) Hagen of South Webster; sisters-in-law, Joanne Williams of Wheelersburg and Debbie Branon of Wheelersburg; seven grandchildren; one great-grandchild. In addition to his parents, he was preceded in death by a brother, Estile “Buster” Williams. The family would like to thank Concord Nursing and Rehabilitation Center as well as SOMC Hospice for the excellent care they gave Charles. A gathering of family and friends will be held at 6:00 p.m. on Monday, January 28, 2019 at D.W. SWICK-NELSON FUNERAL HOME in Wheelersburg with Pastor Paul Hagen officiating. Military honors will be provided by James Dickey Post #23, American Legion. Interment will take place in South Webster Cemetery at the convenience of the family. Friends may call from 5 – 6:00 p.m. prior to the service. Fond memories and expressions of condolence may be shared at www.DWSwickNelsonFuneralHome.com.